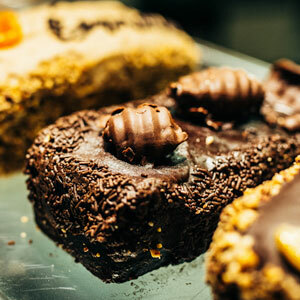 Get the sugar fix you deserve with our luxurious cakes & gateaux. Our coffee steals the show on the caffeine catwalk. 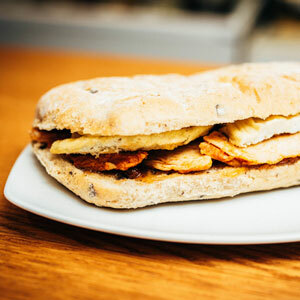 Fine quality classic and European style sandwiches available all day. 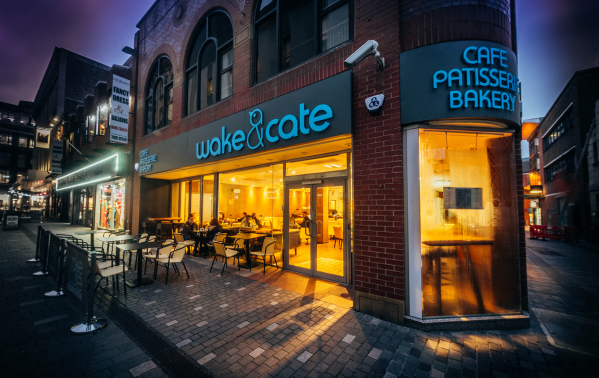 Wake & Cate is a contemporary café-patisserie in the city of Liverpool. 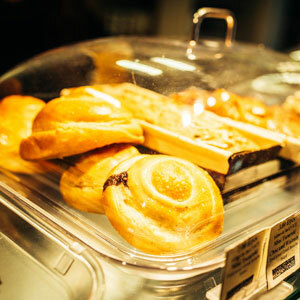 We provide exquisite gateaux, cakes and pastries for customers to enjoy alongside high quality coffee and speciality teas in a stylish, friendly locale. 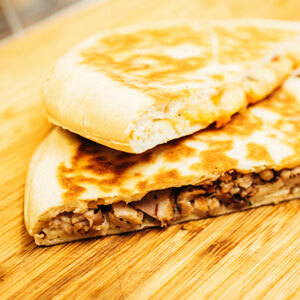 We also offer hot savoury filo pastries, artisan breads, deli sandwiches and panini, juices, smoothies and more. 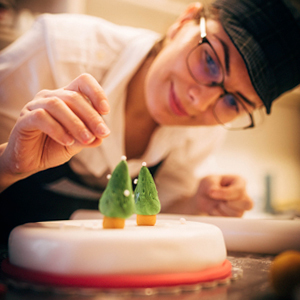 Choose from a delectable portfolio of sweet treats including over 25 varieties of rich French and Italian inspired gateaux; syrupy Anatolian tray bakes; homemade biscuits; melt-in-your-mouth macaroons, and luxury chocolates. 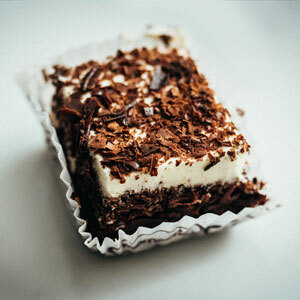 Our cakes and gateaux contain no e-numbers, artificial sweeteners or preservatives. 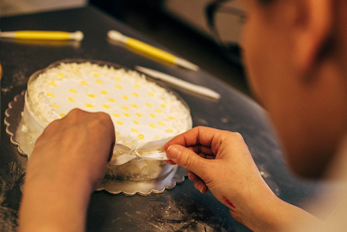 They’re handcrafted in-house, using fresh, natural ingredients – you won’t find cheap, additive-laden supermarket/cash & carry type cakes on our premises. 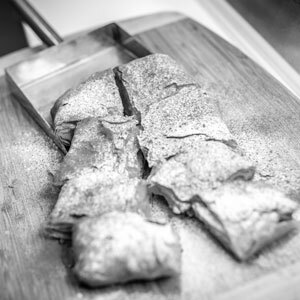 Our pastries are flown in uncooked weekly from our producer in Greece and baked fresh on the premises each day. 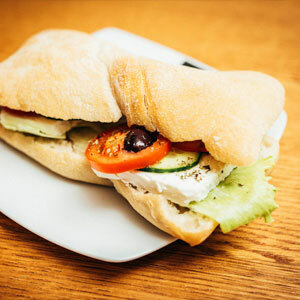 Our ovens are always on the go, baking bread, cakes and more. 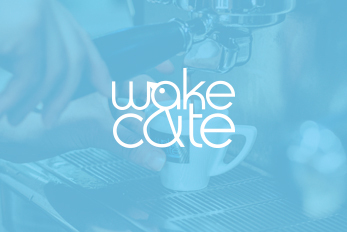 Wake & Cate coffee is Fairtrade, sourced from a single estate in Brazil. The beans are flown over, we roast locally and then grind on our premises. Sticking to this strict formula means we can guarantee high quality and consistency of flavour for our customers. Although only opened recently, this is becoming a popular venue. 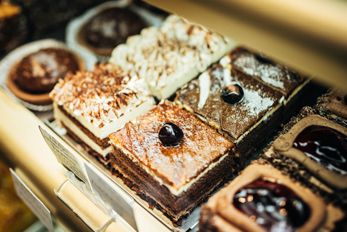 The selection of delicious cakes is endless, and it is difficult to choose from the beautiful display. 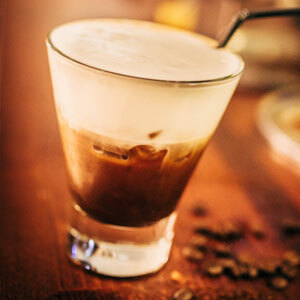 Teas coffees and cold drinks are on offer, all served in comfortable modern surroundings. 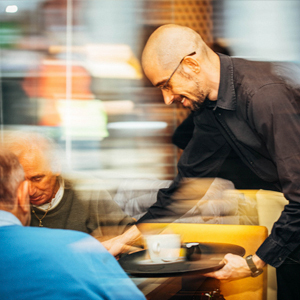 The staff are friendly and professional, and the chaps are quite good looking, which is a bonus. I have visited this place many times and tried different things so it's safe to say that everything is fresh and tastes wonderful! 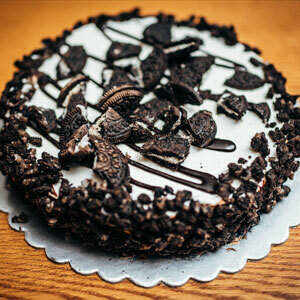 Especially the cheese pie is perfect and all cakes are delicious as well. Excellent place for a quick breakfast and some quality coffee before I catch the bus to work. 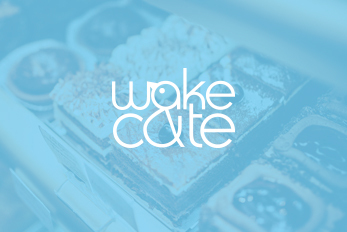 "Do not miss this hidden gem"
We were looking for a cafe for lunch and stumbled across Wake and Cate. So glad we did! The Mediterranean food, amazing cakes and friendly service was just what we needed after a morning shopping. This will become a regular stop off for us when we're in the city centre. 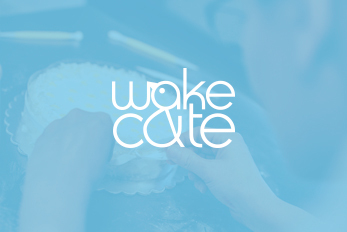 Wake & Cate provide catering for business meetings and corporate events. Contact us for further details. 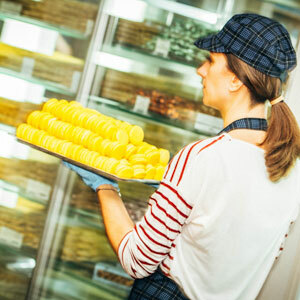 20 years’ experience in the café sector, 10 of which in patisseries. Responsible for business development of Zoomzerie, Wake’s sister shops across Europe. Wake’s cake artist extraordinaire. 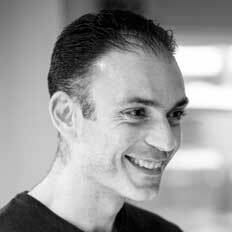 Responsible for keeping our patisserie displays full to the brim of the freshest cakes, desserts and pastries. Quadrilinguist. 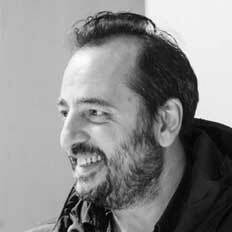 Also manages our Bucharest shop. 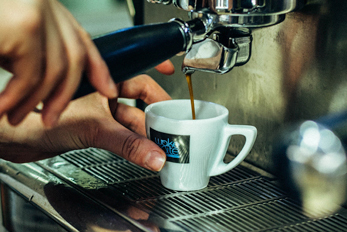 Responsible for all Wake and Cate operations including food quality standards, staff and supplier management, business development strategy and customer relations. 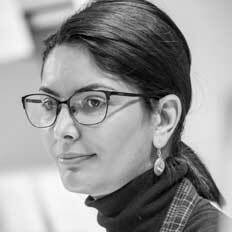 Extensive experience in catering services management and business development.